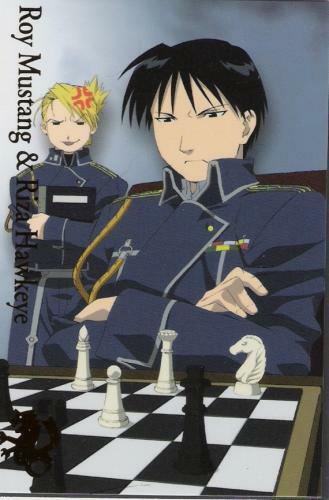 Roy & Riza. . Wallpaper and background images in the full metal alchemist couples club tagged: fullmetal cute couple fullmetal alchemist roy mustang riza hawkeye. This full metal alchemist couples photo contains anime, comic book, manga, and cartoon. There might also be sign, poster, teksto, and pisara.